We all know that facelifts are designed to correct sagging facial tissue. However, did you know that there is more than one way to perform a facelift? Some varieties of this procedure include the standard facelift, neck lift, and mini facelift. Mini facelifts are becoming more popular as younger patients wish to correct mild facial sagging that cannot be treated using facial fillers. So, you may be wondering whether a mini facelift is right for you. A standard facelift is designed to correct facial sagging in the cheek and jawline areas. Patients with laxity in these areas usually have moderate to severe facial sagging. To provide the more extensive correction needed, an incision is created in the hairline at each temple that runs down along the ear. Sagging facial muscles and tissue are addressed. The mini facelift, on the other hand, is ideal for patients with mild facial sagging. This is typically seen as laxity around the jaws and mouth caused by weakened facial muscles. A shorter incision allows the muscles along the jaw to be pulled tight. In many cases, excess skin can be removed. Am I a Good Candidate for a Mini Facelift? Candidates for the mini facelift are in good health and have realistic expectations about their results. They have loose skin or deep folds along the jawline. They require rejuvenation of the jawline and better definition in the neck. Mini facelift candidates are usually under 60 years of age. Patients seeking a mini facelift who have skin laxity along the neck may consider combining a neck lift with their mini facelift. A neck lift will tighten the platysma muscle of the neck and remove excess sagging skin. Combining these two procedures will create better definition between the jawline and neck as well as create a slimmer, more graceful neck appearance. If you wish to correct aging, sagging skin, please schedule a consultation with Dr. Khoury today. 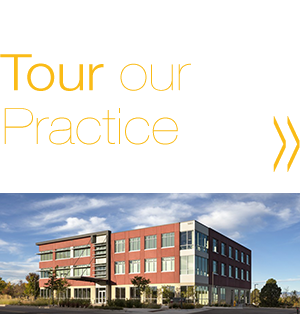 Contact our office at (720) 475-8400 or fill out our online contact form here for additional information. This entry was posted on Friday, May 20th, 2016 at 11:01 pm and is filed under Facelift, Full Facelift, Mini Facelift, Neck Lift. You can follow any responses to this entry through the RSS 2.0 feed. Both comments and pings are currently closed. « Are My Eyelids Aging My Appearance? As we age, the skin on the face and neck tends to lose collagen and elastin, which causes wrinkles and sagging skin to develop. While various factors like sun exposure, weight fluctuations, and the natural aging process greatly affect the severity of these conditions, most individuals begin to notice them in their 30s and 40s. By eliminating the signs of aging in the face and neck, Dr. Edmon Khoury is able to restore a youthful appearance. Although he regularly performs traditional facelift and neck lift procedures that have proven effective for many years, Dr. Khoury also offers the innovative Smartlift™. As one of only five surgeons in the country who performs this method of facial rejuvenation, Dr. Khoury has refined this technique to give patients satisfying results without the added time needed for recovery from regular facelift and neck lift treatments. If you’re considering a facial cosmetic procedure like a Smartlift™, facelift, or neck lift to restore a youthful appearance to your face, continue reading our FAQs for more information. What is the estimated healing time for a Smartlift™? Typical recovery time for a facelift is two to three weeks, but Dr. Khoury utilizes a laser in a unique way that allows him to perform a facelift almost bloodless. This accelerates healing and recovery time. Most of his patients can integrate back into public between five and seven days. Many have done it as soon as three days post-operatively. How is this different from other facelifts? Depending on what bothers the person and the physical signs, most patients need their lower face and/or neck addressed. Dr. Khoury performs the gold standard facelift that provides the best natural results and longevity. Utilizing the laser allows for an expedited recovery that is typically 10 to 14 days shorter than if the same facelift were performed without the laser. How is this laser different? This is not one of the typical lasers that dermatologists or plastic surgeons use to resurface the skin, which are comparable to a chemical peel. The laser Dr. Khoury operates is used in an entirely different way. It allows him to perform the procedure without any bleeding, which translates to less downtime and a quicker recovery. How long has Dr. Khoury been in practice? 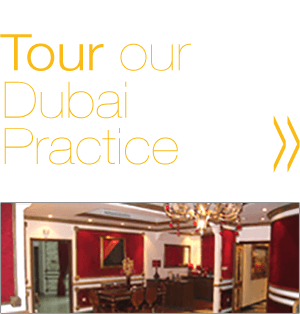 Dr. Khoury has been in private practice since 2006. More importantly is the amount of experience he has in what he does. He exclusively performs facelift/neck lifts and cosmetic eyelid procedures. As a result, the number of cases he has done during his years in practice is more than most plastic surgeons perform in a lifetime. He has performed almost 3,000 facelifts and approximately 2,500 eyelid surgeries. How will I feel under local anesthesia? Most of Dr. Khoury’s facelifts are performed under a local anesthetic. Although this is done using the same anesthetic patients receive at a dental office, Dr. Khoury does also sedate patients mildly with an oral medication similar to Valium. This takes the edge off, and patients are very comfortable throughout the procedure. The worst part of the procedure is the numbing process, and most patients report that this is easier than what they experience at the dentist. Once numb, the patient will not feel any pain. Due to the sedative, most patients do not even remember the experience. Depending on medical history and the patient’s preference, Dr. Khoury can also perform surgery under IV sedation and general anesthetic. What kind of discomfort can I expect? This can vary but is not typically a painful ordeal. The worst of the discomfort is centered around neck tightness. The sensation of neck tightness remains for a while, but the most pain is the first night. For most patients, typical pain medication with an occasional muscle relaxer makes this a very tolerable experience. The majority of patients are off pain medications between 36 and 48 hours after the procedure. They may still require muscle relaxers (non-sedating ones) for a few more days from that point forward. If the neck is not addressed, the amount of discomfort is minimal. You can start wearing makeup the day after your surgery, avoiding any suture lines. Be very gentle when applying makeup for the first two to three weeks post surgery. When can I exercise or go back to physical activities? You may return to exercise and physical activities two weeks after your procedure. Make sure you slowly get back into your routine, as you might feel more run-down the more active you get. Before skiing, golf, and swimming, we usually require three to four weeks of healing time. Since the procedure is performed under local anesthesia and due to the quick recovery facilitated by the laser, patients do rebound quickly. We do want people to be active as soon as possible, and it is usually okay to walk and do some restricted physical activity within the first week. Dr. Khoury will review this at your pre-op appointment. To determine which cosmetic facial procedures you are best suited for, we encourage you to schedule a personalized consultation by calling (720) 475-8400 or by filling out our online contact form today. Double board-certified plastic surgeon Dr. Edmon Khoury and his experienced staff look forward to seeing you soon! This entry was posted on Tuesday, March 17th, 2015 at 9:53 pm and is filed under Facelift, Facial Rejuvenation, Full Facelift, Mini Facelift, Neck Lift. You can follow any responses to this entry through the RSS 2.0 feed. Both comments and pings are currently closed. As the name suggests, a mini-lift is the least invasive of all facelifts. Younger patients with early aging changes in their jaw line are the best candidates for this type of lift. A mini-lift will not adequately address significant aging changes in the neck or cheek area. It is performed through limited incisions in front of the ear to target the underlying muscle layer (SMAS) in a more limited fashion. This less invasive type of facelift does not necessarily mean minimal results. Whether a mini-lift is the right choice for a patient depends on the degree of aging that needs to be addressed. Ideal patients for a mini-lift have not fully aged. A mini-lift should not be performed on a patient who needs a more extensive facelift, though. Such a patient would likely only see minimal results. 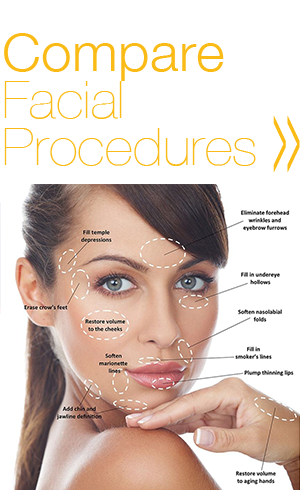 A standard facelift is the most commonly performed facelift. It is also known as a regular facelift, an intermediate facelift, an extended SMAS facelift, and a traditional facelift. This type of facelift addresses aging in the jaw line and moderate neck laxity, which is why incisions typically go around the ear to allow the surgeon access to both areas. Recovery is longer than for a mini-lift, but not by much time. The muscle layer (SMAS) is addressed and mobilized in a more thorough fashion compared to a mini-lift. This prolongs the result and restores the youthful contours of the face and neck. A full facelift is the gold standard for patients with extensive aging in the cheeks, jaw line, and neck. It is also known as a deep plane facelift. A full facelift addresses the drooping soft tissue apparent in an aging face. It is the most effective procedure and has the longest recovery time, typically 10 to14 days before a patient resumes public life. The incisions are the same as those used in a standard facelift, but the scope of surgery is broader. Trademarked facelifts, for example the “Lifestyle Lift®,” have catchy names that provide a branding mechanism. Most of these lifts fall into the mini-lift category, but they may also cross-over into a standard facelift, depending on the surgeon. Since they are mainly mini-lifts, they are less involved and “quick,” theoretically able to be performed over a “lunch time break,” which provides the basis for many of the names. From a technical standpoint, there is nothing unique about them other than the name. Regardless of the name, what is important to ascertain is the extent of the surgery and whether the muscle layer (SMAS) is being appropriately addressed. No facelift will last if the SMAS is not appropriately addressed. My knowledge of facelifts comes from performing over 2,000 of them. Most have been standard facelifts, with the rest equally divided between full facelifts and mini-lifts. What differentiates me from many cosmetic surgeons is my ability to perform most facelifts under local anesthesia (like at the dentist) with the patient awake and comfortable. This reduces the anesthetic risk, speeds recovery, and reduces the cost. I offer patients their choice of setting – local anesthesia, sedation or general anesthesia – to match their preferences. Why settle for a minlift when you can get a standard lift under the same settings and recovery period. Facelifts are my passion. Having performed such a large number of them, I have an appreciation for the aesthetic needs that are unique to every patient. It is not enough to merely perform the core maneuvers that constitute a facelift. A cosmetic surgeon must also address the subtle differences of each patient and include fine touches to create an amazing and natural result. This entry was posted on Wednesday, December 9th, 2009 at 9:34 am and is filed under Facelift, Facial Rejuvenation, Full Facelift, Home, Mini Facelift, Standard Facelift. You can follow any responses to this entry through the RSS 2.0 feed. You can leave a response, or trackback from your own site. Facelift terminology in Denver can be confusing, especially in today’s market with the introduction of attention-grabbing, catchword branded facelifts. I decided to blog about facelift terminology after noticing how confused many patients are about the variety of facelift brands and names. My goal is to provide you with a set of terms that will help you better understand facelifts. A facelift is the best method to rejuvenate an aging face. In general, all facelifts – whether minimally-invasive or more extensive – are technically lower facelifts. They address the changes associated with aging in the lower two-thirds of the face – namely the cheeks and jaw line (the “jowls”). They may also indirectly improve some aging changes in the neck. The eyelid and forehead areas and more direct changes to the neck are addressed through separate procedures, which may be performed alone or in combination with a facelift. When patients use the term “full facelift,” they often are referring to multiple procedures – for example, a facelift and a forehead lift or a facelift with an eyelift. When most surgeons use the term “full facelift,” they are usually referring to the most extensive type of lower facelift, described below. A mini-lift, a standard facelift and a full facelift. Each type is intended to address different degrees of sagging and aging that may have occurred. A patient should realize an exceptional result if the appropriate lift is performed. In addition, subtle maneuvers and variations within each technique allow for a unique result. • Addressing the muscle layer that sags with aging (known as the SMAS muscle in medical terms) so that it is “lifted” back into position, rejuvenating the face. • All incisions should be placed so that they are well concealed and, once fully healed, virtually undetectable. In general, an incision in front of the ear allows a surgeon access to the cheeks and jaw line. An incision behind the ear allows access to the neck. • A patient-physician relationship built on trust and mutual understanding. A patient must feel comfortable and at ease with his or her surgeon. Otherwise, the outcome and experience may be less than optimal. • Reasonable expectations from the patient. • Appropriate follow-up course and care. Part 2 of this post coming soon!!! This entry was posted on Thursday, November 5th, 2009 at 12:02 pm and is filed under Facelift, Facial Rejuvenation, Full Facelift, Home, Mini Facelift, Standard Facelift. You can follow any responses to this entry through the RSS 2.0 feed. You can leave a response, or trackback from your own site.